Sol Kyung-gu is one of the senior actors from South Korea who has been very successful in the entertainment industry. 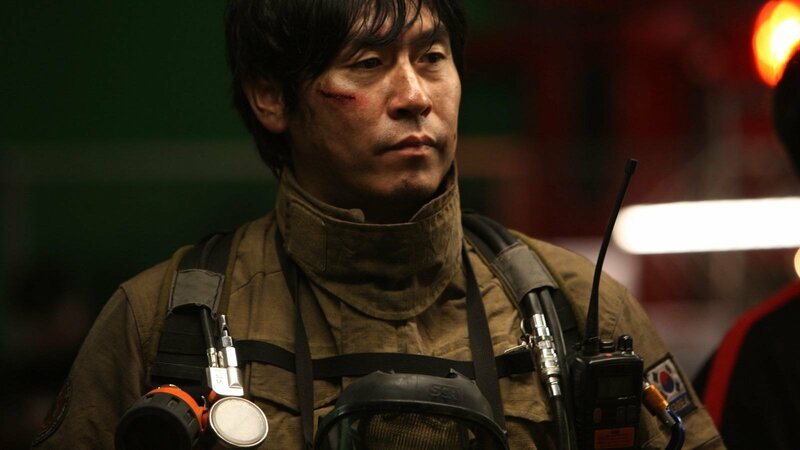 He was born on May 1, 1968, in Seoscheon, South Chungcheong, South Korea. Sol Kyung-gu began his career in 1994 when he appeared in various theater productions, such as the Korean adaptation of the German rock music Subway Line 1 hit, and the production of Sam Shepard’s True West and A. R. Gurney’s Love Letters. Kyung-gu studied at Hanyang University and focused on Theater and Film. After graduating and making a successful career in acting, Sol Kyung-gu then started to teach acting in 2014, at his alma mater Hanyang University, as an adjunct professor in the College of Performing Arts. He is best known for his roles in the popular Public Enemy film series, as well as Peppermint Candy, Oasis, Silmido, and The Merciless. Here is a List of Sol Kyung-gu Movies and Dramas! Sol Kyung-gu’s acting career is more focused on film, rather than dramas, a lot of the films he has starred in have been very successful. Below is a list of Sol Kyung-gu’s films. In addition, there are several films that he is starring in, but the release dates are still unknown. The titles of the films are I Want to Know Your Parents, MOngyudowondo, King Maker: The Fox of The Election, and Perfect Man. Sol Kyung-gu was once married to actress Ahn Nae-sang’s younger sister in 1996, however, they separated on July 21, 2006, and while they were married they had one daughter. After being separated for four years, then in 2009, he reportedly married actress Song Yoon-ah on March 28, 2009, a year later their first son was born on August 3, 2010. The two of them met for the first time on the set of the film Jail Breakers in 2002 and starred together again in another film, Lost in Love, in 2006. They began their relationship while they were together on location and finally decided to get married in 2009. Sol Kyung-gu has two children from two different wives, he has a son with his current wife, and a daughter from his previous marriage. His daughter was not much exposed to the media because he did not live with her. There isn’t much information about the face of the daughter, but it doesn’t mean he doesn’t love his daughter, he admits that he is very sad for not being able to be close to his daughter. 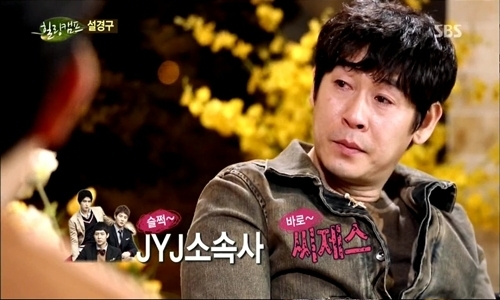 An interesting thing happened when actor Sol Kyung-gu helped his daughter in finding a ticket for JYJ’s concert, because she really loves JYJ, and he was so moved that he actually cried. Sol Kyung-gu is very grateful, according to him it is his chance to be close to his daughter and improve his image so as not to become a bad father. Actor Sol Kyung-gu dropped his tears without stopping. In a broadcast on one of the TV stations, he felt guilty about his attitude towards his daughter, who suffered from his mistakes in the divorce from his wife. In fact, he said that his daughter was the one who was most hurt in the process and the story of his weight in the past. That’s the guilt and love for his daughter.